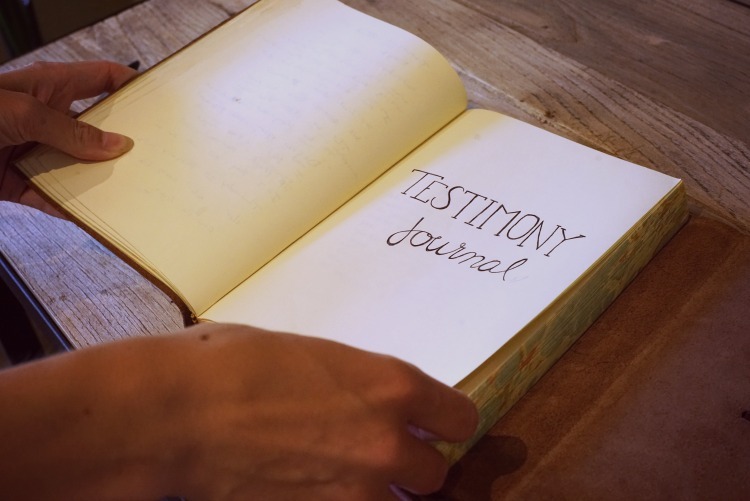 Today's post is a bit different, I'm sharing a little about the testimony journal Tayler and I started 6 months ago. The idea came to us on a long road trip from Utah to Virginia when we were trying to think of a way to record the times we've seen God's hand in our marriage. 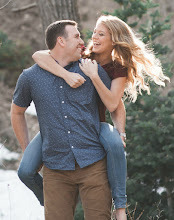 I love sharing our adventures and experiences and blunders on this blog. It's the perfect way to record our lives right now, with pictures and words and occasional videos. However, obviously I don't share every aspect of our lives here because much of it doesn't belong here, open and public for all to see. Spiritual experiences are one of those things. Events like that are so important and I want to record them, but they are deeply personal too so that is why Tayler and I have started Our Testimony journal. The dream is that someday our teenage offspring will read about our experiences and be inspired/strengthened. The journal we chose is a thick, durable, leather bound journal with enough pages to last us at least a decade, depending on how spiritual we are;) Haha I'm kidding but it is nice because it's a special occasion journal, not a daily one, so I'm hoping it'll last a looong time. I'd love for all these stories to be contained in just one volume. 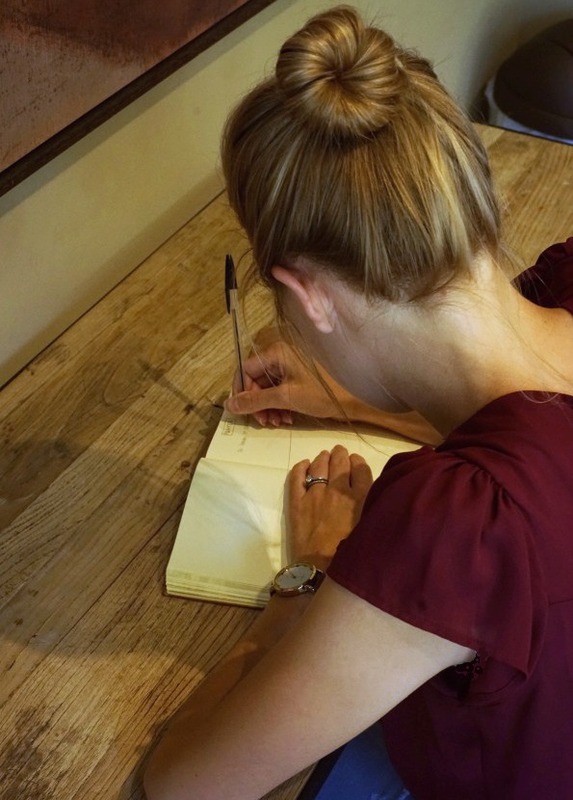 A lot of people get overwhelmed with the concept of journaling because it's so easy to get behind, but this a specific topic journal rather than a chronological, here's-what's-happened-in-the-past-year-that-I-am-just-now-getting-around-to-writing-about thing. Which makes it much easier to keep up on! Just as a brief example of what fits in that topic for us, I've written about the time we had only a few dollars in our account to last us 2 weeks when a stranger knocked on our door with a check written out to us. I know, it sounds like something straight out of the Ensign but it happened to us! What can I say, God is good. Basically, I'm writing about times when Heavenly Father was undoubtedly watching over us and guiding us. 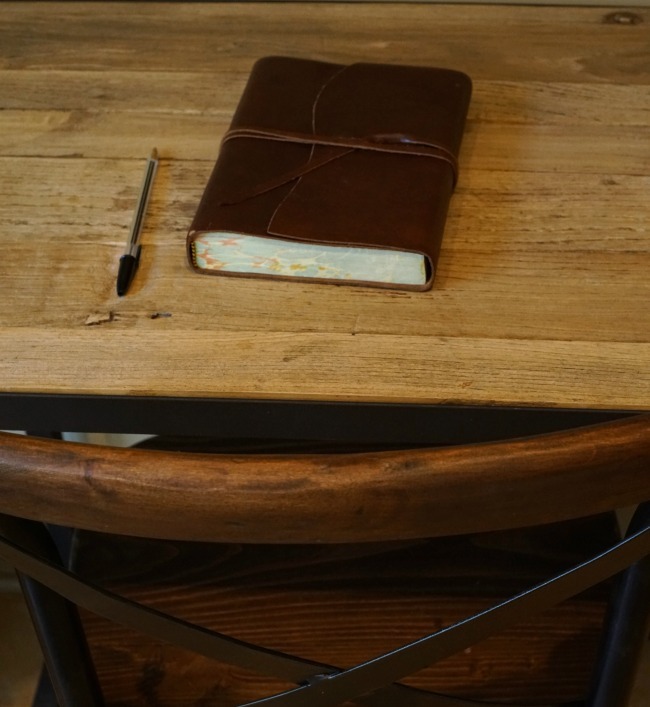 It's no secret that the world is becoming a scarier place, so I love this journal for the opportunity it gives us to seek out the good and notice God. Also, here's a video of my man President Henry B. Eyring on the matter.